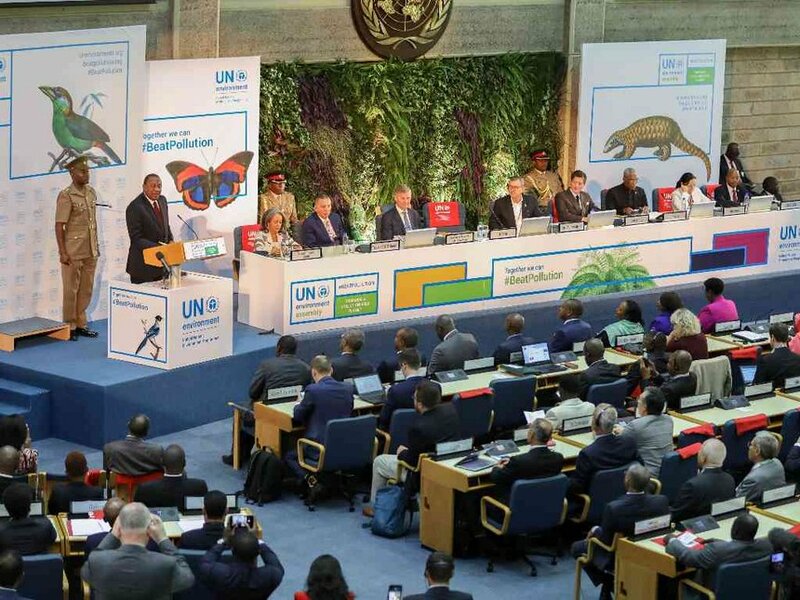 Untreated waste from cities like Nairobi and Mombasa could lead to un-treatable diseases in the near future, scientists have warned. The researchers said there is clear evidence that antibiotics residues in sewage from households, hospitals and pharmaceutical facilities, and in farms, is driving the emergence of drug resistant bacteria. This means simple infections, once treatable with a simple dose of antibiotics, could soon sicken and even kill patients. “We need policies on how to treat sewage so that it has the specified bacterial load,” said Tabitha Kimani, a antimicrobial resistance regional coordinator for the Food and Agricultural Organisation. She spoke at the ongoing United Nations Environment Assembly during the launch Frontiers 2017 report on emerging issues of environment concern. The report looks at six areas: the environmental dimension of antimicrobial resistance; nanomaterials, marine protected areas, sand and dust storms, off-grid solar solutions, and environmental displacement. The report finds that the role of the environment in the emergence and spread of resistance to antimicrobials is particularly concerning. Tabitha noted that once consumed, up to 80 per cent of antibiotic drugs are excreted un-metabolised along with resistant bacteria. “They contaminate water and sometimes fish, which people consume in food, leading to resistance to antibiotics,” she noted. Unep executive director Erik Solheim said environment ministers need to act now. Globally about 700,000 people die of resistant infections every year because available antibiotics have become less effective at killing bacteria. The report noted that human antibiotic use increased 36 per cent this century, and antibiotic use in livestock is predicted to increase 67 per cent by 2030. Additionally, up to 75 per cent of antibiotics used in aquaculture may be lost into the surrounding environment. Dr William Gaze from the University of Exeter medical school, said drugs companies are not making new antibiotics because quick resistances makes it upprofitable. “You use a lot of money to develop a product yet resistance comes fast, yet pack back time takes 15 to 20 years,” he said. Dr Gaze said if the trend continues, the world will be moving back to an era where normal procedures like childbirth and simple surgeries become dangerous. Solving the problem will mean tackling the use and disposal of antibiotic pharmaceuticals as well as the release of antimicrobial drugs, relevant contaminants and resistant bacteria into the environment, the report says.